If you love sport and adventure here is a mini guide to find the best places for water rafting in Umbria...maybe the best and funniest way to enjoy its rivers and falls! Umbria, land of waterfalls and rivers surrounded by woods, it is perfect for this sport that offers unforgettable emotions, combining adventure and the beauty of the nature landscape viewed from a unique perspective, from "inside the river." Despite appearances, water rafting is quite simple to practice, it is sufficient to know how to swim, be in good health and to observe some safety rules. 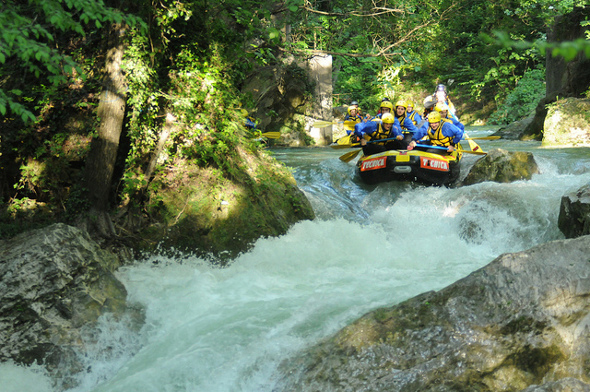 The first place that we suggest you is an exceptional natural location for water rafting in Umbria: Marmore Falls. Less than one hour from Rome you will find this amazing Falls, the highest in Europe, and below them the Nera river flows among the rocks for over three kilometers, forming exciting rapids, surrounded by lush vegetation and surrounded by a charming natural landscape . Wear the water rafting clothes, life jacket and helmet and jump into thrill and adventure! Do you want to go rafting in Umbria and relax in an amazing Farmhouse with swimming pool? Here is a list of the best Farmhouses with swimming pool in Umbria! If you are inexperienced, or simply you do not know how to swim, but do not want to miss the magic of rafting in Umbria, we recommend a more quiet descent of the river such as the Corno River. Inside Nera River Park, between the villages of Arrone and Ferentillo, you will have the option to use a stretch of 12 kilometers to do a very special "walk", gliding on the river. Corno River in fact is divided into two sections with the same length, for a period of about 2 hours, walked in maximum safety for those who love "slow" sport and nature. In the grip of Biselli you will have the opportunity to have a bath and drink water from a spring that flows directly from the rock. 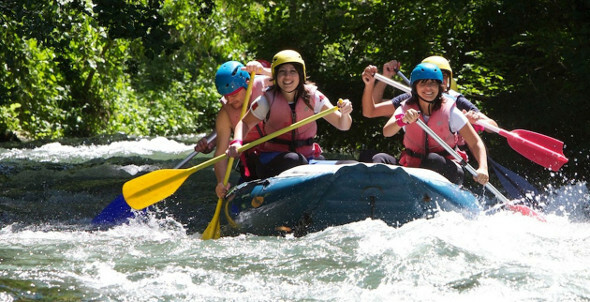 In the end, there are many opportunities to go rafting in Umbria, the green heart of Italy is the ideal land for lovers of this fascinating and thrilling descents with the boat! In several areas of the Corno River is also possible to practice hydro-speed, an activity that is practiced by being carried by the water, attached by hand to a kind of plastic bob. 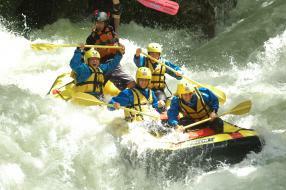 Bella Umbria offers a rafting tour on the Corno River, departing from Norcia. We provide you everything you need on site (shoes and wetsuit, water jacket, life jacket and helmet), where you will also find an experienced guide who will accompany you throughout the descent. In summer we suggest you to take suit, flip flops, towel, k-way, during the coldest add socks and knitting wool or fleece. 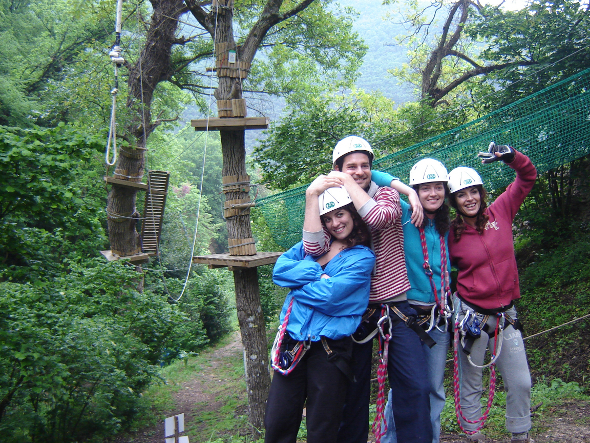 In Valnerina you can also try rock climbing, archery and adventure courses because this area is perfect for rafting but also many other outdoor sports. From sailing to horse riding, going for trekking on foot or by bike, orientereeng, off-road trips, downhill, skydiving for the more adventurous and charming funny trekking riding donkeys for the more relaxed, the green Umbria is the ideal setting for outdoor activities!